Rich Dermer was an avid genealogist who loved the Germans from Russia people and their stories. Rich spent countless hours researching some of the Germans from Russia families and compiling as much information as he could, including the arduous task of clipping obituaries and pasting them into binders. 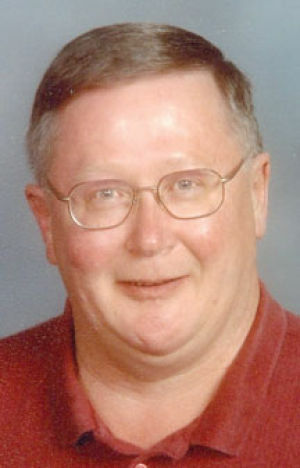 At the time of his death, Rich’s work consisted of approximately thirty 3-ring binders of clipped obituaries, binders of compiled genealogies and numerous books and other papers. The “Dermer Project” as we are calling it consists of making a complete inventory of Rich’s entire research collection and then placing that list on our website. We feel the best way for us to honor Rich’s work is to let other Germans from Russia researchers know we have this collection and we are making it available to them for their research. We are certain Rich spent the time working on his project not to just keep it to himself, but to help other researchers with their family history projects so we are “paying it forward”. When the Dermer Project is completed you will see the inventoried list on this page. Below is a copy of Rich Dermer’s obituary as published in the Star-Herald newspaper on Wednesday, July 17, 2013. Richard Lee Dermer, 59, of Scottsbluff, passed away Monday, July 15, 2013, at Regional West Medical Center. Funeral services will be held at 2 p.m. Thursday, July 18, at Dugan-Kramer Funeral Chapel with Pastor Ed Hunzeker officiating. Burial will follow at Fairview Cemetery. Friends may call at Dugan-Kramer Funeral Chapel on Wednesday, July 17, from 1 to 8 p.m.
Memorials can be made in Richard’s name to Regional West Foundation. Tributes of sympathy may be left at www.dugankramer.com. Richard was born Oct. 3, 1953, at West Nebraska Methodist Hospital in Scottsbluff to Richard and Esther (Becker) Dermer. He received his education at Longfellow Elementary and graduated from Bridgeport High School in 1971. Richard received a B.A. from Concordia Sr. College and received a BSN from University of Nebraska Medical Center in 1991. He made his home in Scottsbluff after moving from St. Louis, Mo. where he was a certified psychiatric nurse for 25 years. Richard was a member of High School Honor Society, St. Agnes Catholic Church, 3rd Degree Knights of Columbus, past president of Germans from Russia, Sigma Theta Tau, Who’s Who in High School, Who’s Who in Nursing, and a Volunteer of Friends of the Midwest Theater. Richard loved gardening flowers, genealogy, and was an avid collector of many antique collectibles. Survivors include his sisters, Sharon (Larry) Zitterkoph, and Teresa (Ron) Swank; brother, David (Diane) Dermer; aunts and uncles; nieces and nephews, Crystal (William Burr) Zitterkoph, Matthew Zitterkoph and fiancé Heather Lenoir, Justin Dermer, Garrett Dermer, Lori Jackson, Trevor Schulte and fiancé Jennifer, Andrea (Tony) Tritt and Chuck (Lauren) Swank; great-nieces, Alyssa Burr and fiancé Dustin DeWald; close friends, Billy (Saeko) Jones; numerous friends and former patients whose lives he touched. Preceding Richard in death are his parents, paternal and maternal grandparents and numerous cousins. This entry was posted in News, Projects, Resources. Bookmark the permalink.